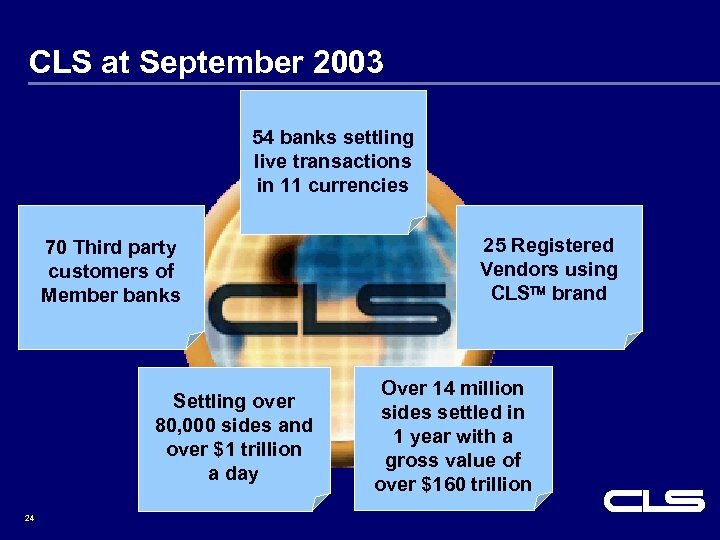 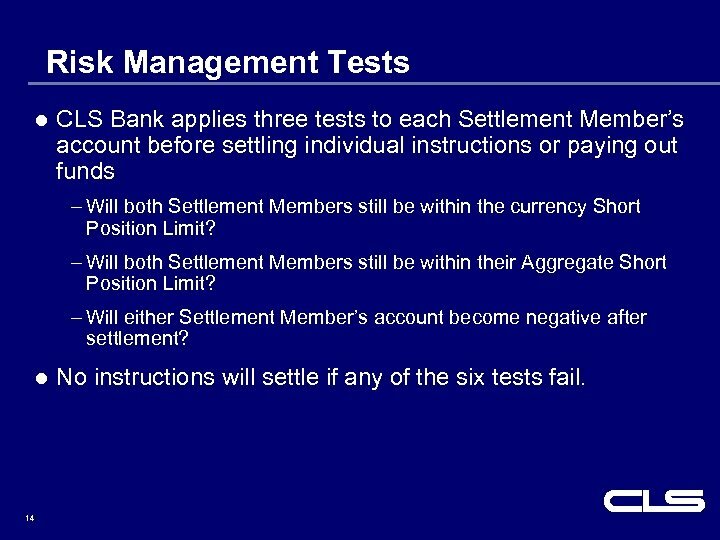 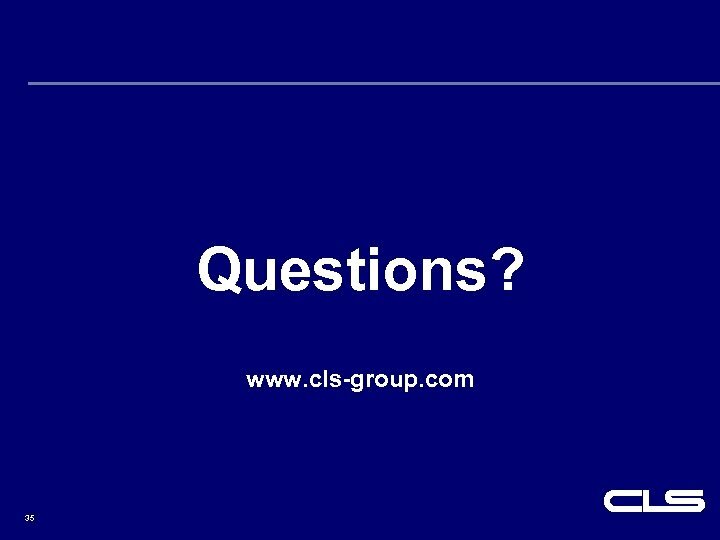 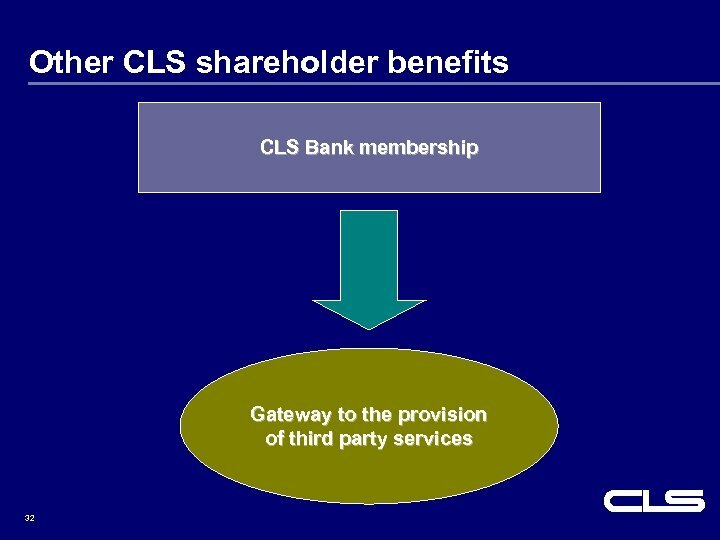 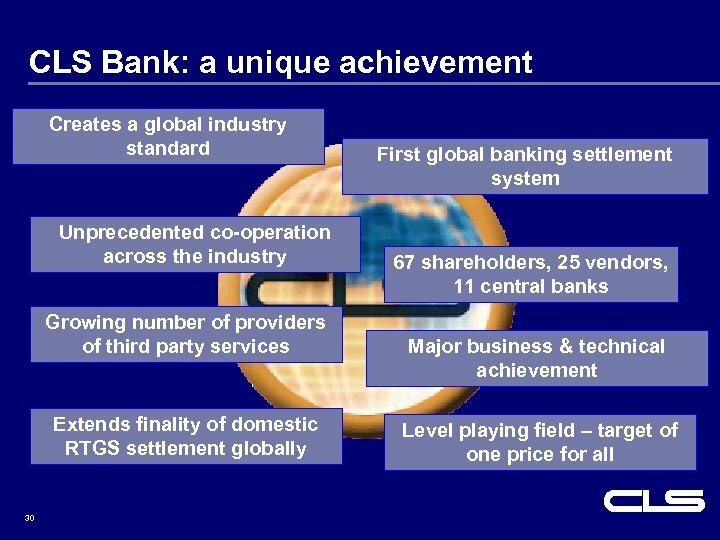 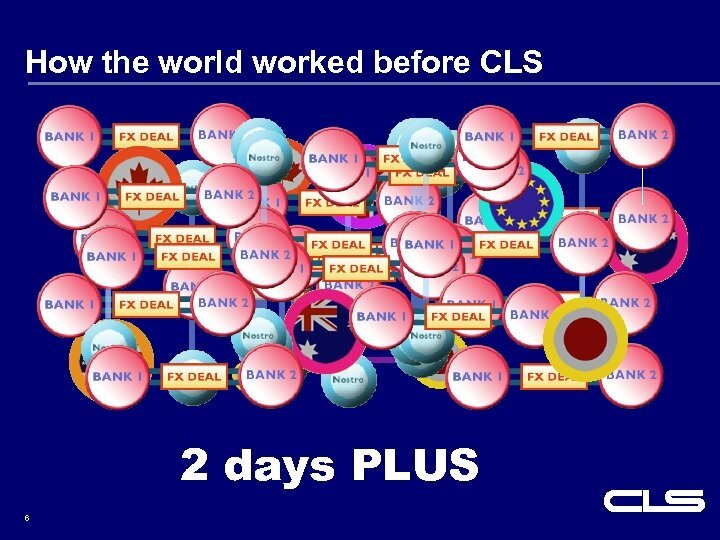 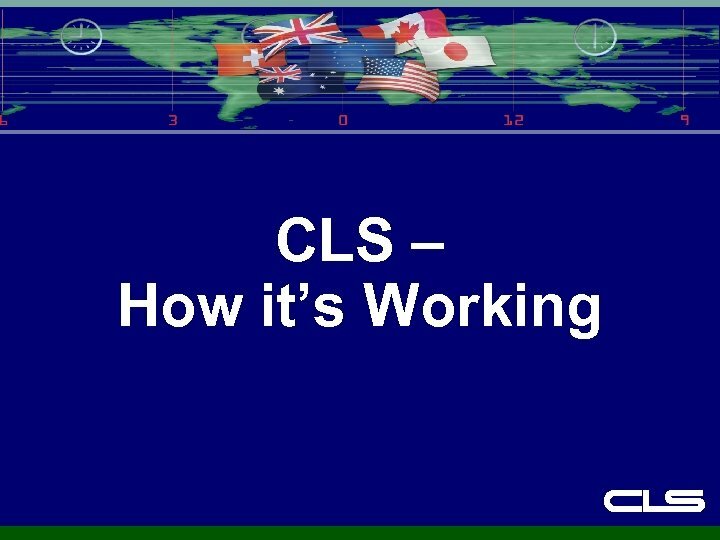 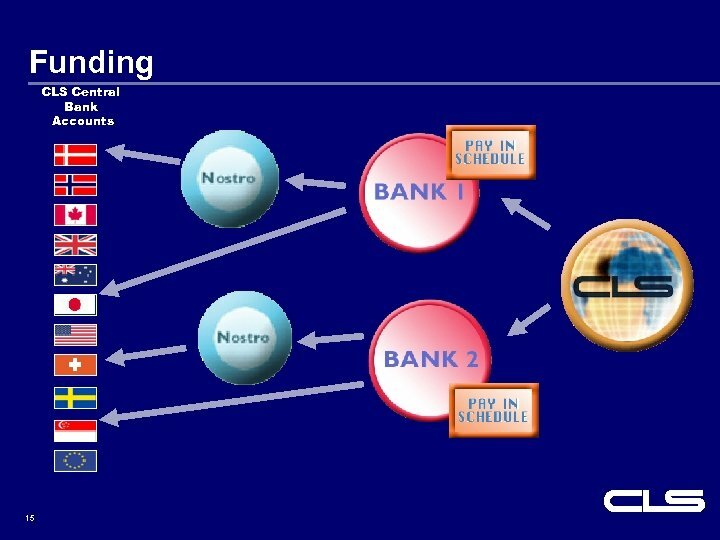 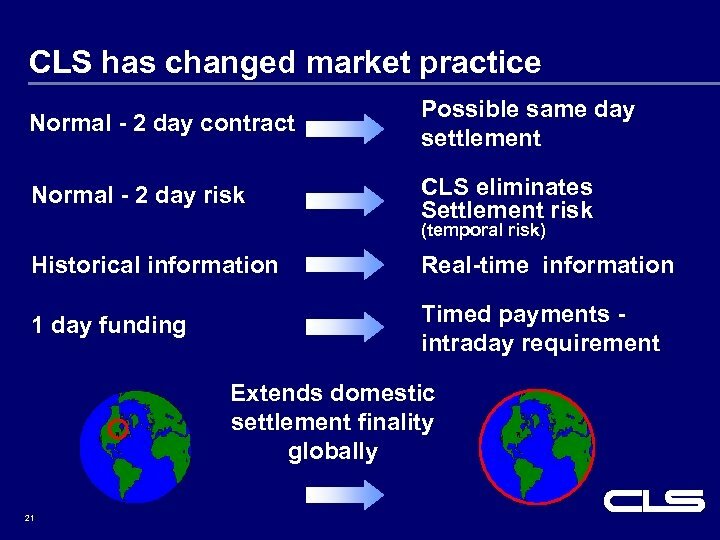 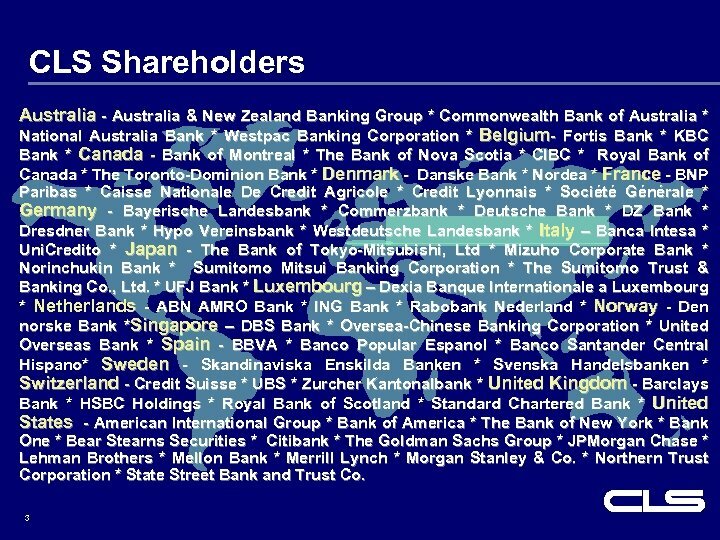 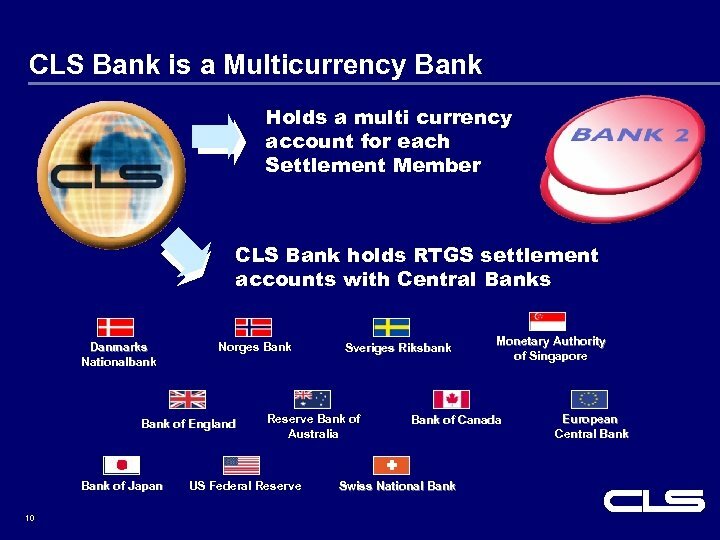 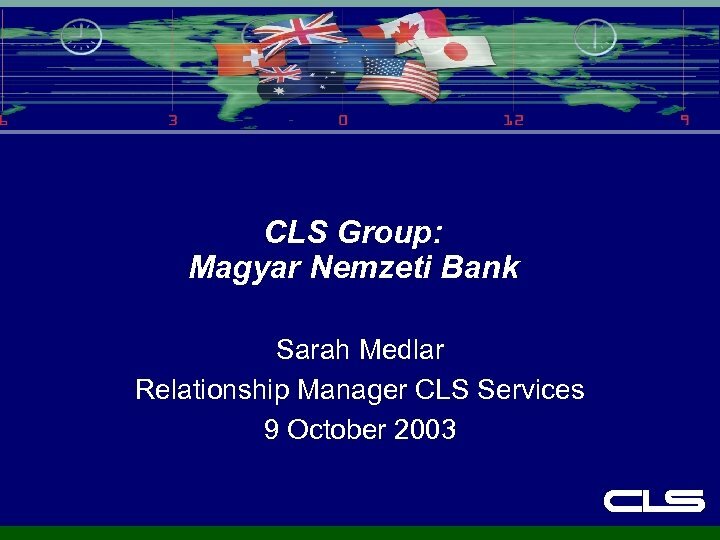 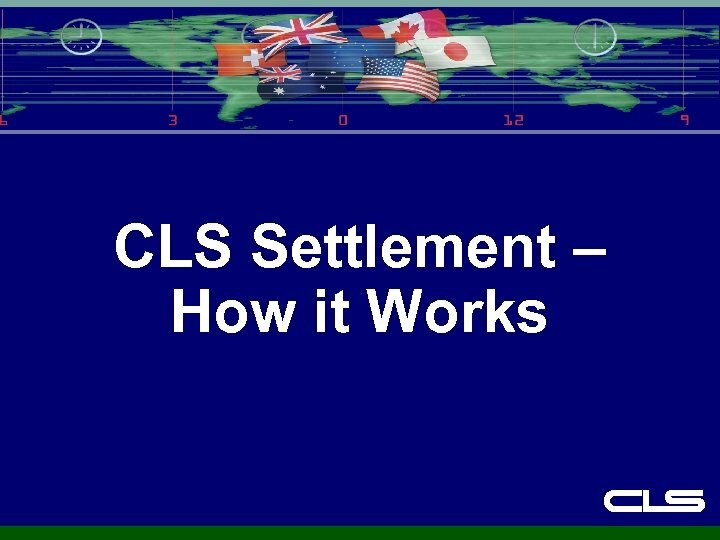 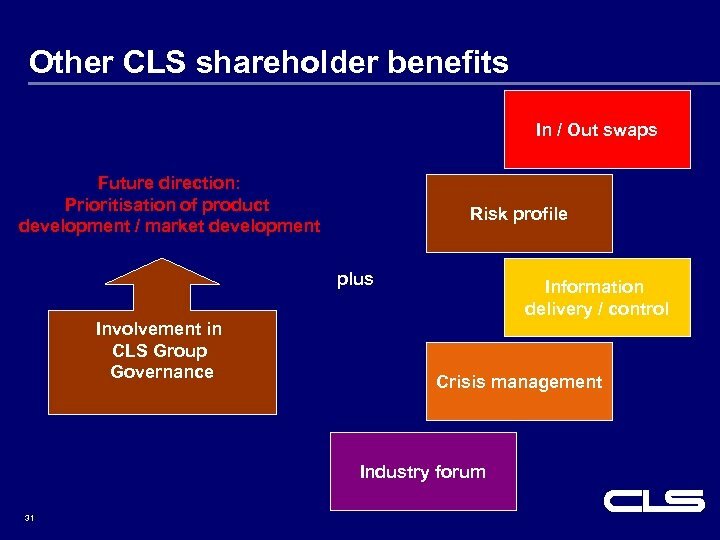 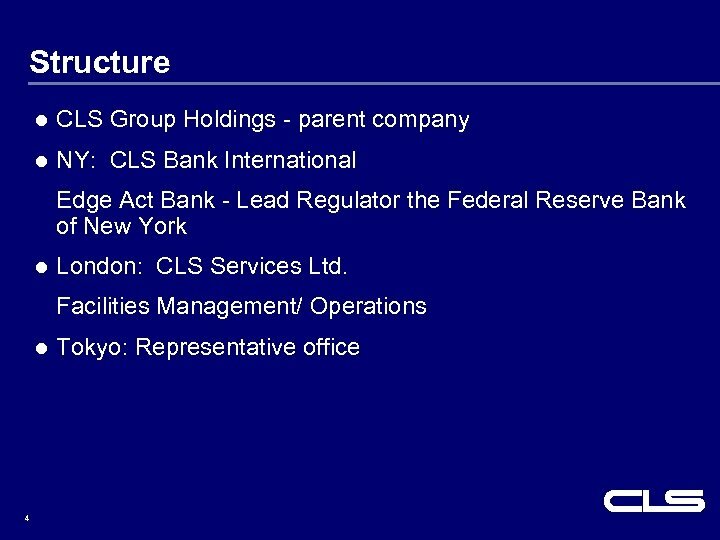 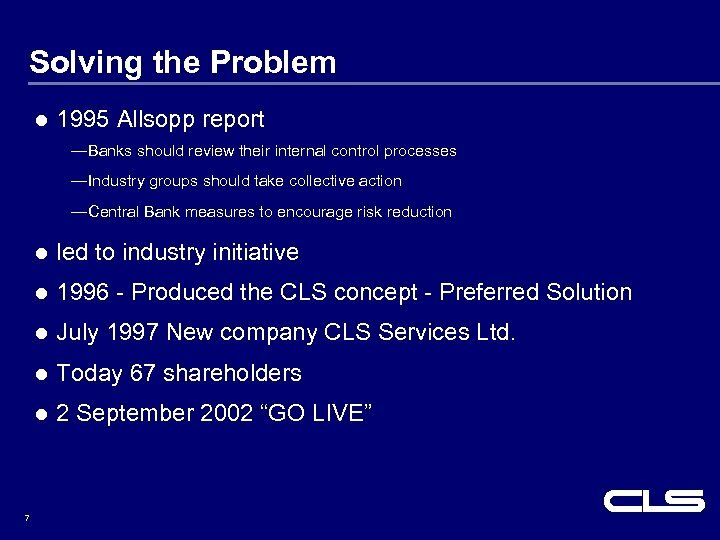 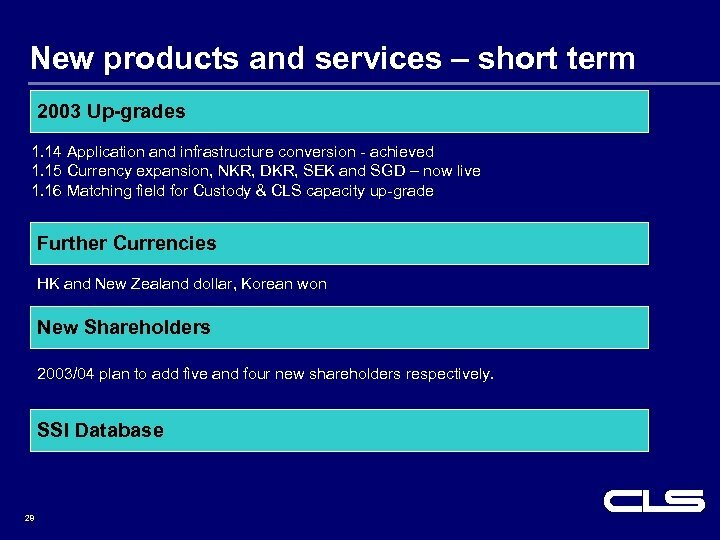 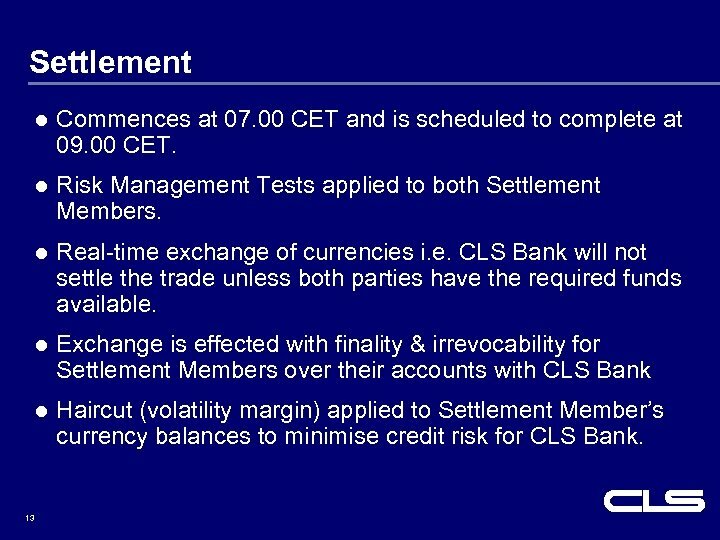 Risk Management Tests l CLS Bank applies three tests to each Settlement Member’s account before settling individual instructions or paying out funds – Will both Settlement Members still be within the currency Short Position Limit? 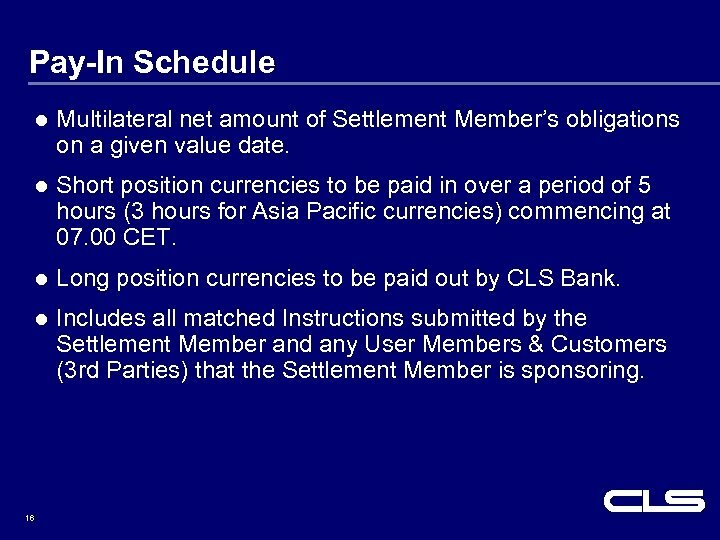 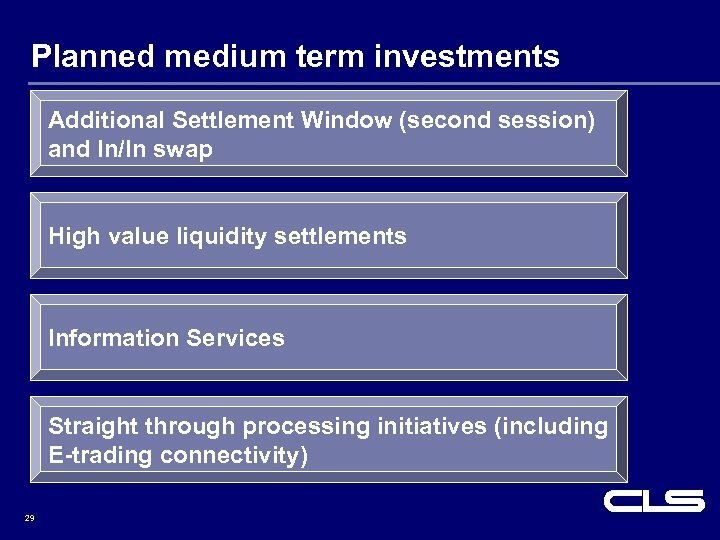 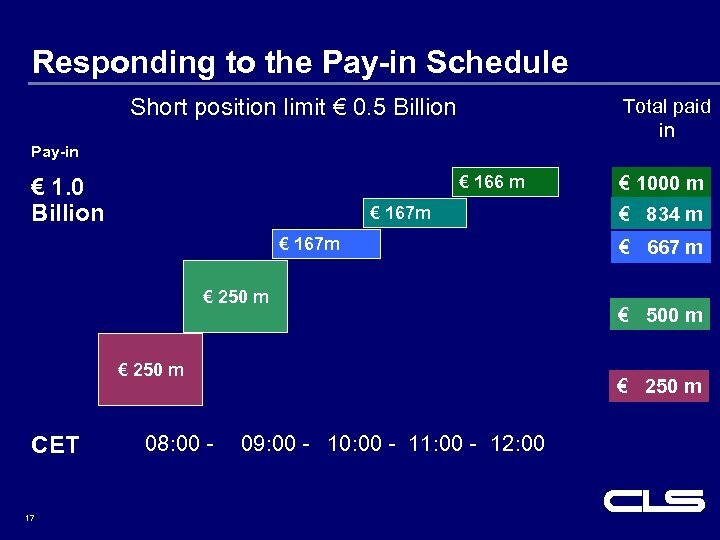 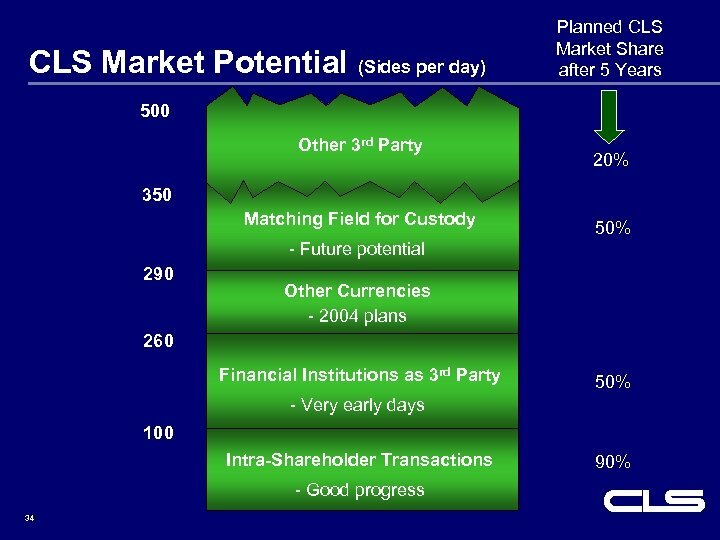 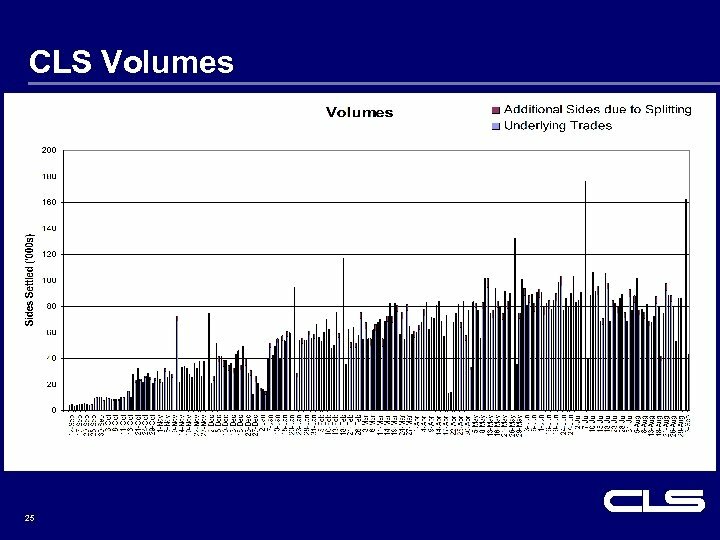 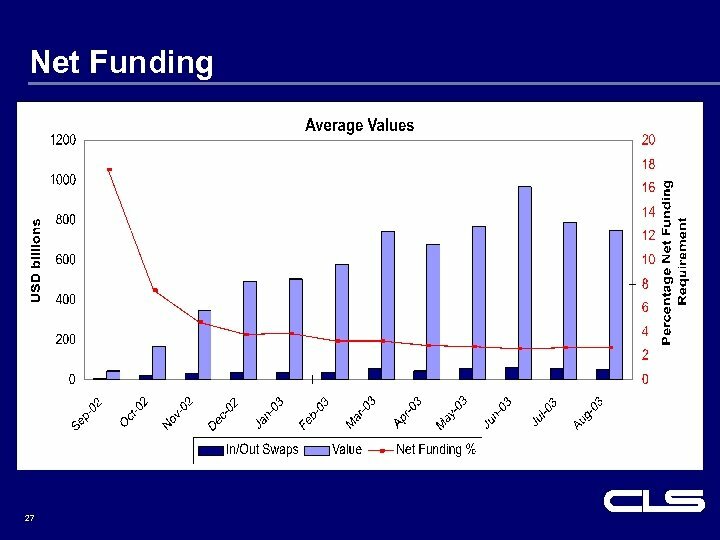 – Will both Settlement Members still be within their Aggregate Short Position Limit? 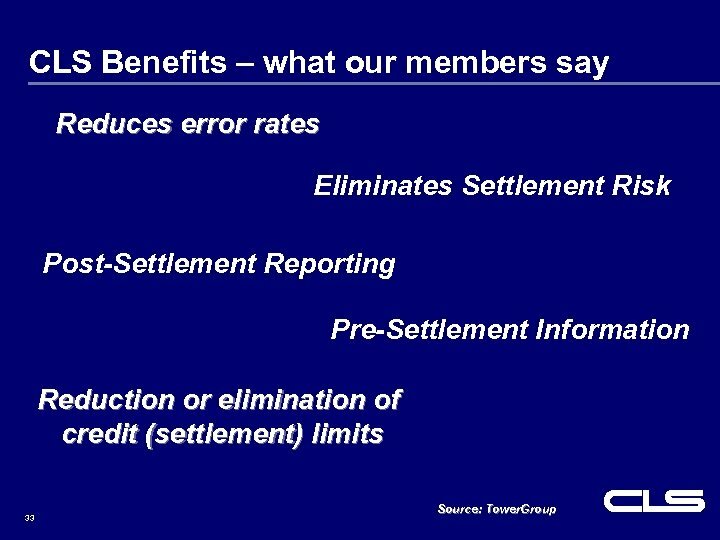 – Will either Settlement Member’s account become negative after settlement? 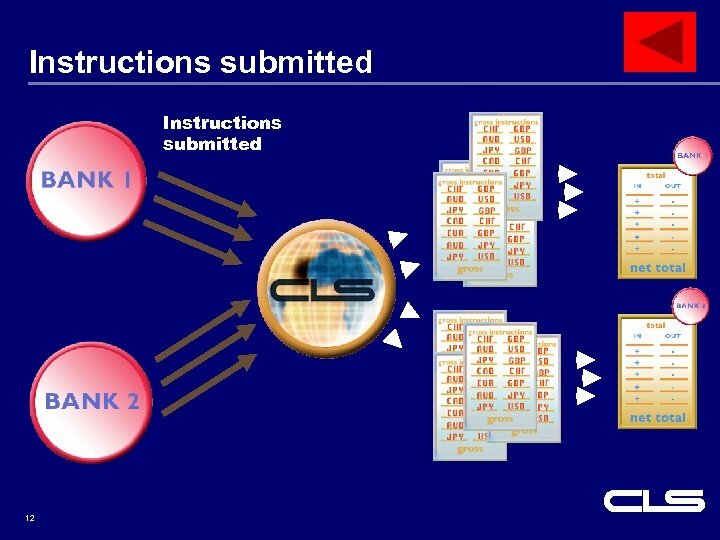 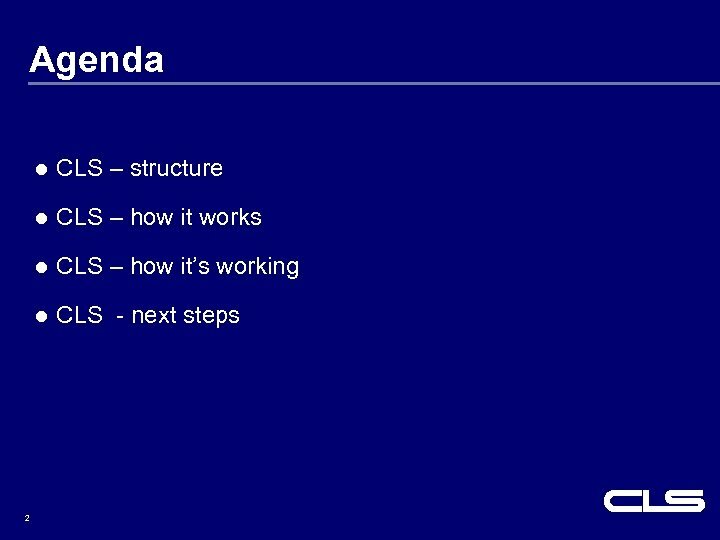 l 14 No instructions will settle if any of the six tests fail. 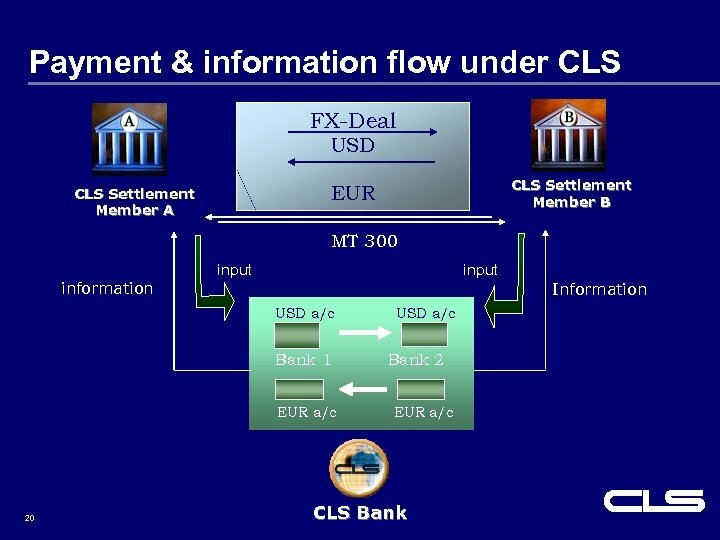 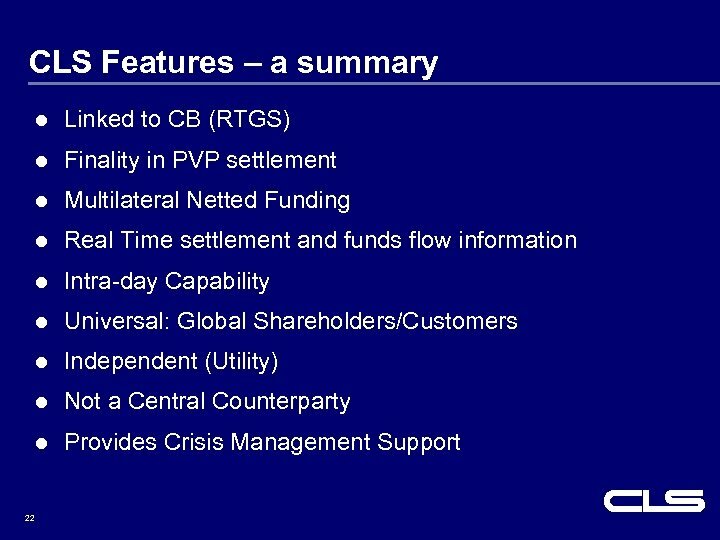 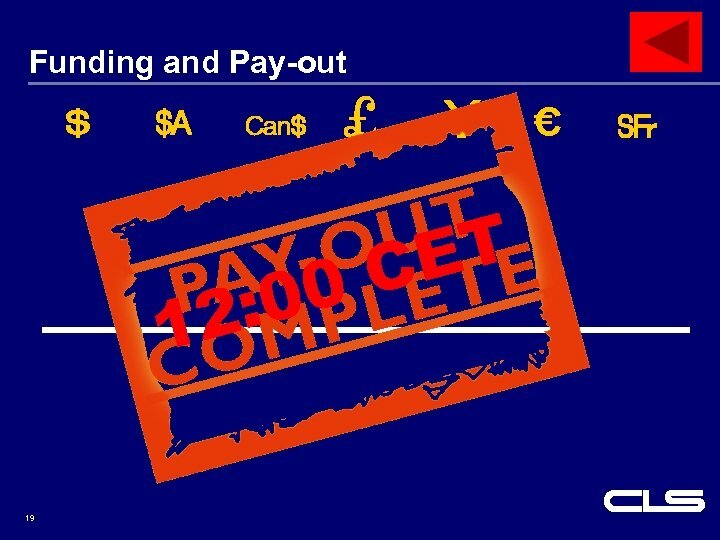 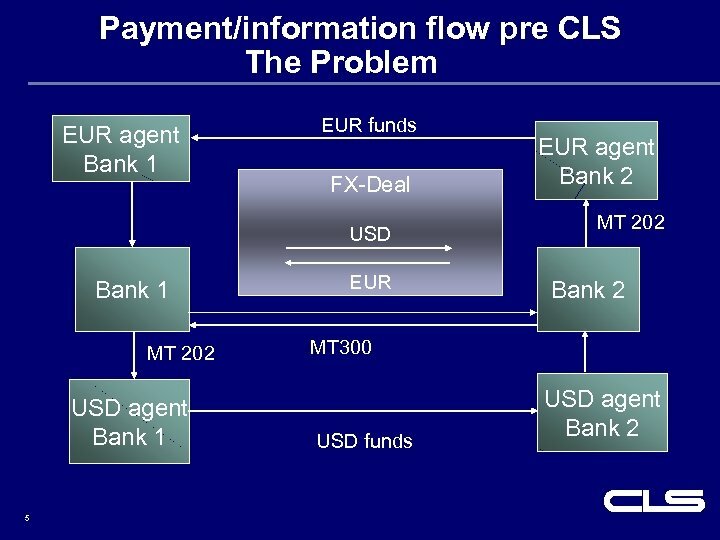 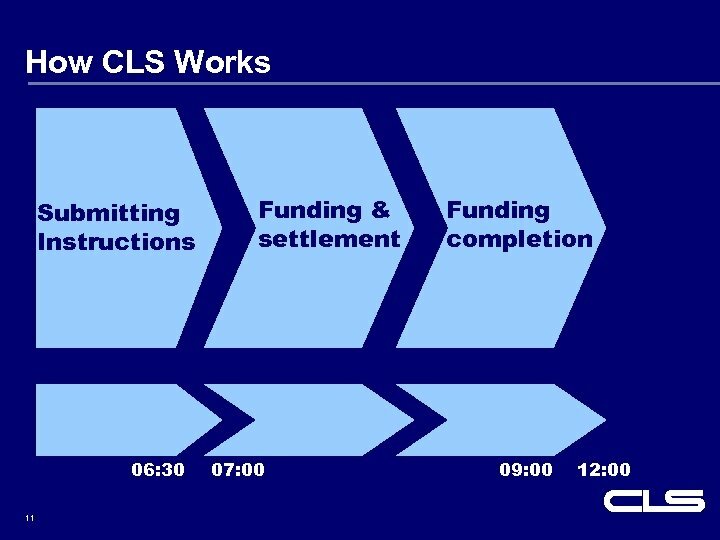 Pay-outs l l CLS Bank checks that a Settlement Member is entitled to receive funds, and that funds are available in the Central Bank account before paying out l If Member has unsettled instruction, its pay-out will be adjusted to retain sufficient value to settle irrespective of large intra-day FX move. 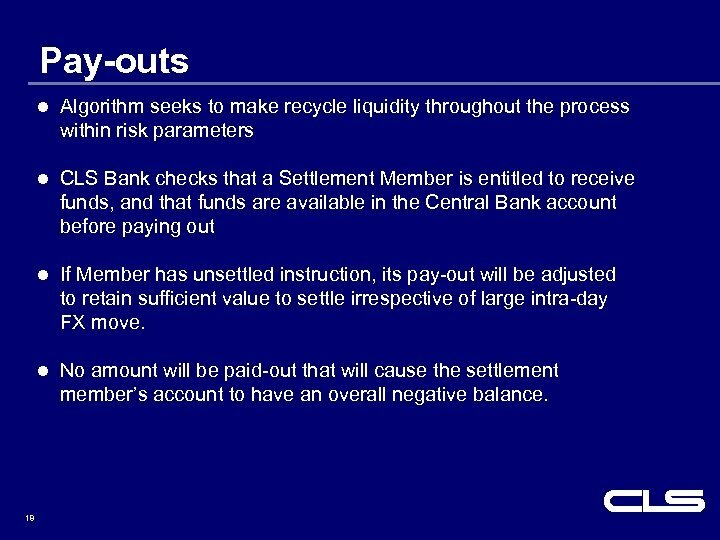 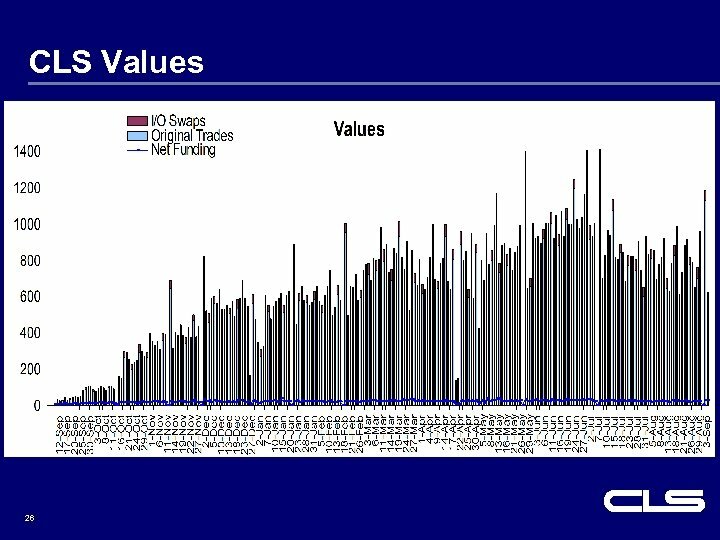 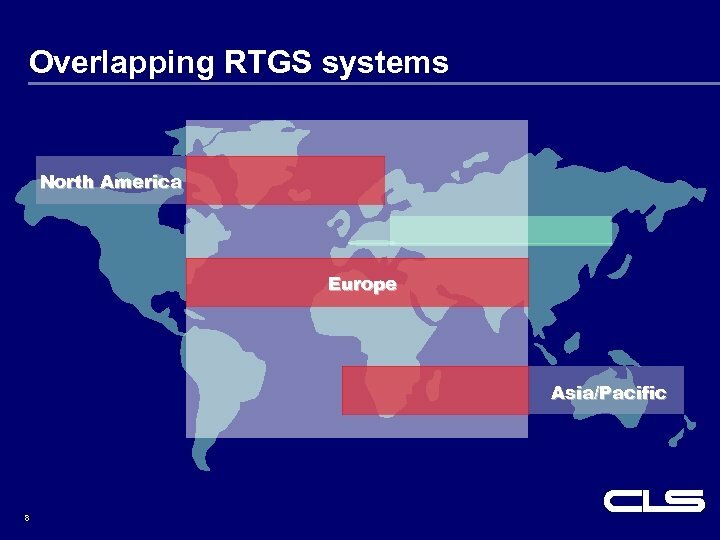 l 18 Algorithm seeks to make recycle liquidity throughout the process within risk parameters No amount will be paid-out that will cause the settlement member’s account to have an overall negative balance.